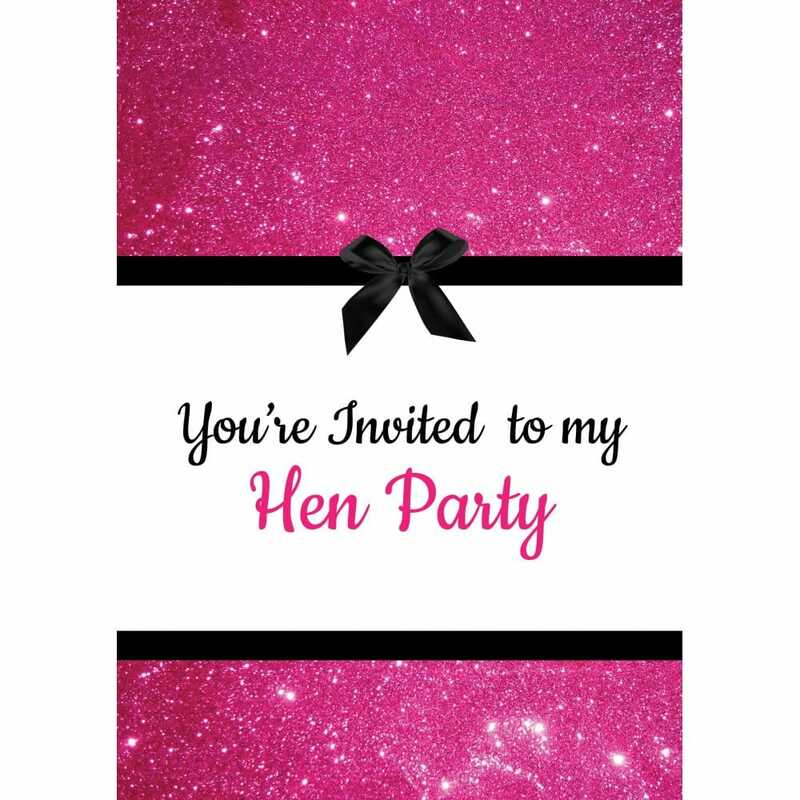 Are you planning a sophisticated Hen Party bash, filled with glitter, cocktails, sequined dresses, and lavish dinners? If so, this invitation is perfect for such an occasion. This invite takes pink and black away from 'tacky' and more towards 'glamour'. The white banner is embossed with a black, silk effect ribbon, along with a glittered pink border. Simply download the PDF and print, for the most glamorous looking invitation in town!